At the grand coronation night of Miss World Jamaica 2017 held at the Courtleigh Auditorium in New Kingston on Saturday night, Solange Sinclair was crowned as Miss Jamaica World 2017. She will now represent Jamaica in the 67th edition of Miss World pageant to be held on 18th November 2017 in Sanya, China. 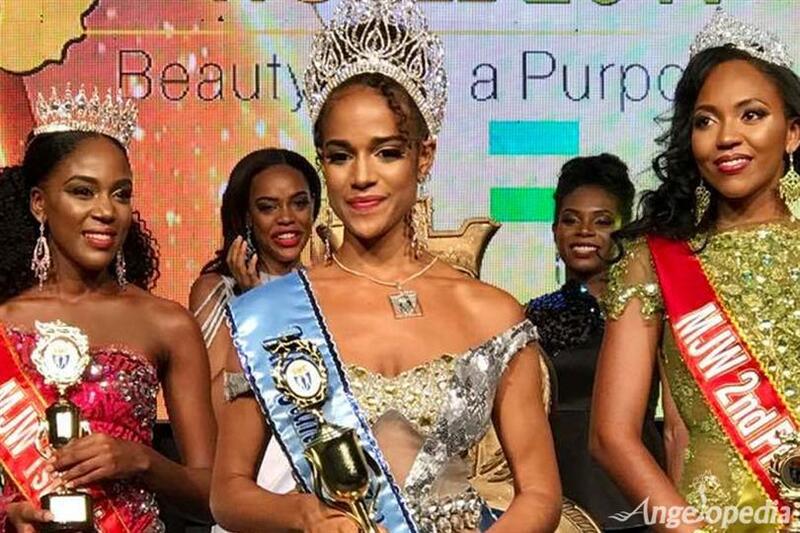 She succeeds and was crowned by Miss World Jamaica 2016 Ashlie Barrett. At the same event, Diedre McKenzie and Jeneque Pinnock were declared as first and second runners-up respectively. Sinclair beat 17 other finalists to clinch the coveted crown of Miss Jamaica World 2017. Solange Sinclair, a 24-year-old public relations consultant and grand-daughter of late actress Madge Sinclair. Sinclair is a travel enthusiast who said her life ambition is to strike a balance between my personal development and my professional goals, which include travelling the world, to bridge the cultural and sociological disconnect that seems to be increasingly dividing our global community. In a lengthy Instagram post earlier today, Solange shared that she is delighted to wear the crown of Miss Jamaica World and that she is ready to bring the Miss World Crown to where it belongs - Jamaica.